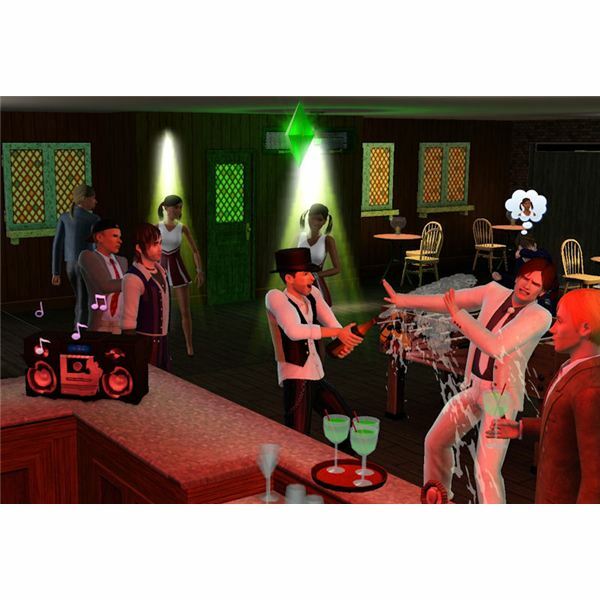 There are many different life stages in “The Sims 3” for Sims to experience throughout their life in the game. These include all of the main stages of life that we experience, and different types of experiences are available for Sims in each of the stages. Sims start life out (if they are born in game) as a baby. This is a short time of their life, and they age up to toddler stage next. They are able to learn important things as a toddler such as learning how to talk, walk, and become potty trained. This helps them out with their next life stage as a child, where they can learn some skills, attend school, and join after school activities. Children grow up to become teenagers. This is a touchy time of their life where they experience firsts such as having their first boyfriend or girlfriend, attend prom, learn how to drive, and much more. Once a teenager graduates from high school, they become the default age for The Sims 3 young adults, which is when they are able to do much more in the game. They can have a full time job, take their romantic relationship to the next level and get married, have children, and much more. Young adults then become adults and then finally elders. Sims are set to be at this life stage by default. So, unless they are set to be a different age, are born in the game, or they age up to the next life stage, this is the stage of life they will be in. The Sims 3 young adults age is really the stage of life that they have the most fun in. They are freshly graduated from high school, and can now do pretty much everything in the game. They can have a serious romantic relationship, become engaged, throw a bachelor party, get married, purchase a home, have a full time career or profession, have kids, have their blood sucked by a vampire, become a vampire, use a hot tub, skinny dip, go to bars, clubs, and lounges, have a midlife crisis, and much more. Each of the expansion packs really focus more on this stage of life when adding in new things to do in the game, so new things will constantly be added for this age group of Sims. Each stage of life has a certain amount of time that Sims will be in that life stage. The only time this doesn’t happen is if the player chooses the option to disable aging in their game. Timespans can be set at different levels in the game. The list below shows the days that Sims will be in this stage of life for each level. With “The Sims 3: Generations” expansion pack, you can change it to be however many days you want for each life stage. So, if you prefer playing as The Sims 3 young adults, you can set this to be exceptionally longer than the other stages of life. Stop Aging Up and Become a Young Adult Again! Once Sims age up from the young adult stage, they become an “Adult.” This is where things start to move quickly, and they become an “Elderly” Sim. Needless to say, most Sims don’t take to aging well, and they really don’t want to die of old age! 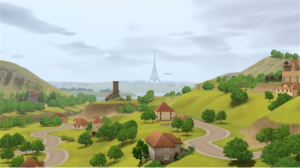 If you have “The Sims 3: Generations” expansion pack installed for your game, you can purchase the new chemistry set for your Sims to purchase, and learn how to make potions. One such potion that can be learned is The Sims 3 young again potion. This potion is really a remarkable one that can be made pretty easily in the game with the chemistry set. The first potion that your Sim makes of it is free. However, if you want to create more potions (with that specific Sim), it will cost you $5,000 Simoleons to craft. If your Sim happens to be a “Master Chemist” it will only cost $3,750 Simoleons to craft. Using this anti-aging potion in the game is much easier to use and craft than making ambrosia to become younger. There are also many other useful and fun potions that your Sims can learn and use with this chemistry set, so go ahead and buy it and start having fun with chemistry in the game!